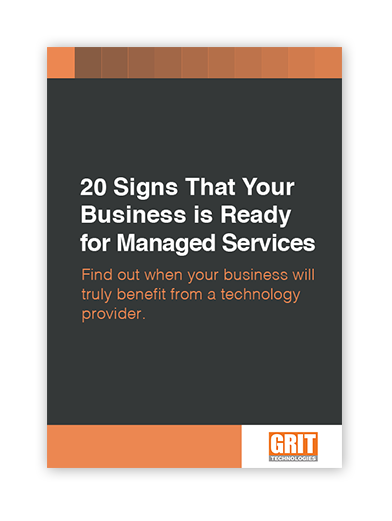 By downloading our free eBook, you have zero obligation to GRIT Technologies. Our hope is that by providing you with the information to necessary to diagnose your own IT struggles, you’ll remember us when it comes time to select your new technology partner. Until then, enjoy some free advice from the technicians at GRIT Technologies!